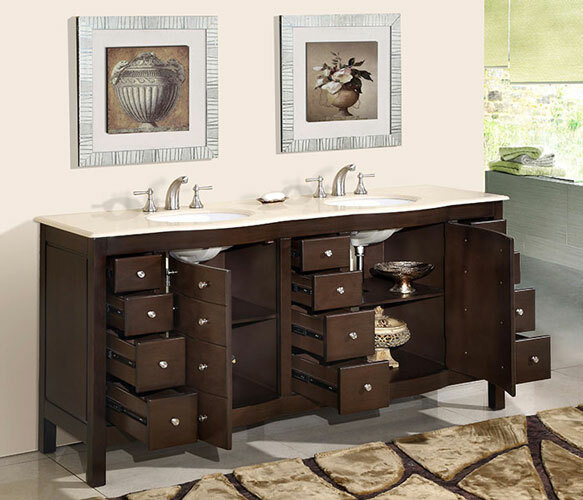 The Adrano Double Bath Vanity brings a sophisticated atmosphere to the master bathroom with its espresso finish and charming hardware. It comes in two counter top options, both of which are pre-drilled for faucet installation. 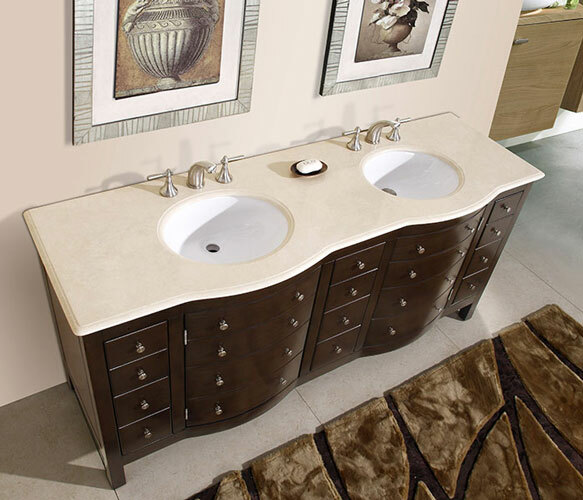 The counter top is available in either Roman Vein-Cut Travertine with an under mount ivory ceramic sink, or Cream Marfil marble with an undermount white ceramic sink. Twelve drawers and double doors with shelves provide plenty of room for storage. This transitional style is easy to design a bathroom around. 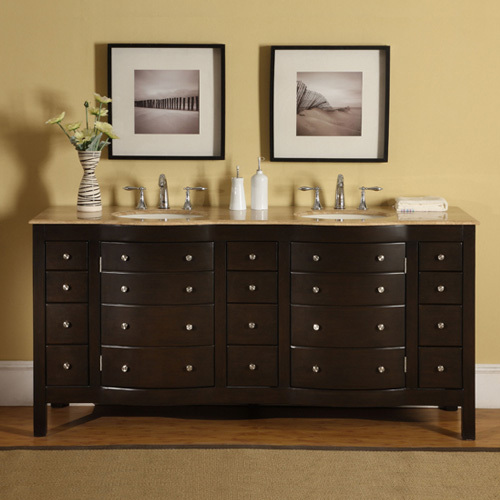 I bought this vanity back in November of 2011for my master bathroom. Needless to say, 6 months later the project is complete. I have been meaning to submit my comments and recommendation on this purchase for some time now. I could not be happier with the quality of this gorgeous vanity! 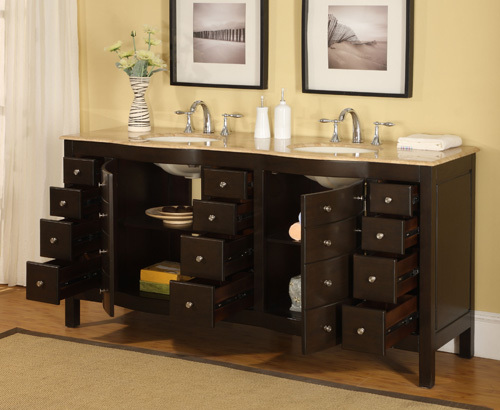 You will not be disappointed AND you will not find a nicer vanity at any bath store for this price!! !